A Subway has recently opened in our town, much to the excitement of my boys. 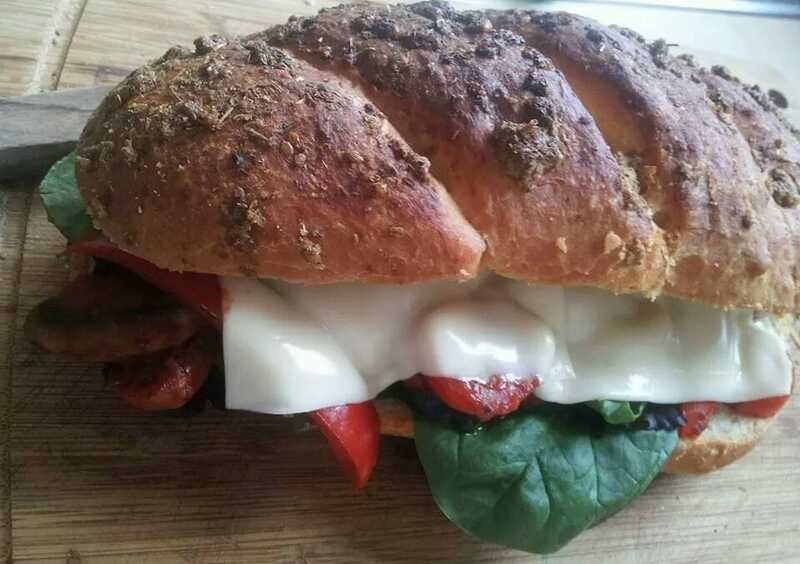 They are very partial to the Italian sub melt, a cheese and herb flavoured bread usually filled with meat, salad and mozzarella. 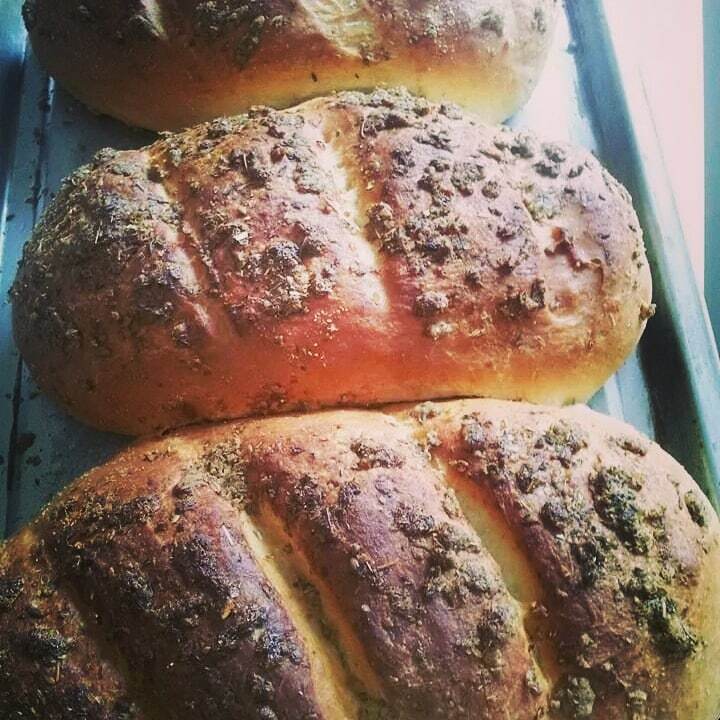 When eldest boy asked me to try making them at home, I was happy to oblige given my current love of making bread. I’d actually made this recipe already about a year ago – my good pal Jo Blogs Jo Bakes made it and it looked so fantastic I had to give them a go. I was pretty happy with the results but I made some notes in my kitchen file to make a few amendments next time. So without further ado, here is my adapted recipe for Italian sub rolls! They are full of flavour and have a lovely soft pillowy texture, just like the real thing. Chargrilled veg (peppers, onions, mushrooms and courgettes) with a tomato and basil sauce and Mozzarella slices. They were mess to eat, but SO worth it! So next time you’re tempted to drive to the nearest Subway, why not give these a go instead? Place the flour, yeast, salt and sugar in a large bowl, making sure the salt and yeast are at separate sides of the bowl. Make a well in the centre and pour in the oil and water. Knead for at least 10 minutes by hand or 7 minutes in a mixer until the dough is bouncy and elastic. Place in an lightly oiled bowl, cover with cling film and leave to prove until at least doubled in size. Turn the proved dough out on to a lightly floured work surface. Lightly knead for a minute to knock the air out, then divide into four equal sized pieces. 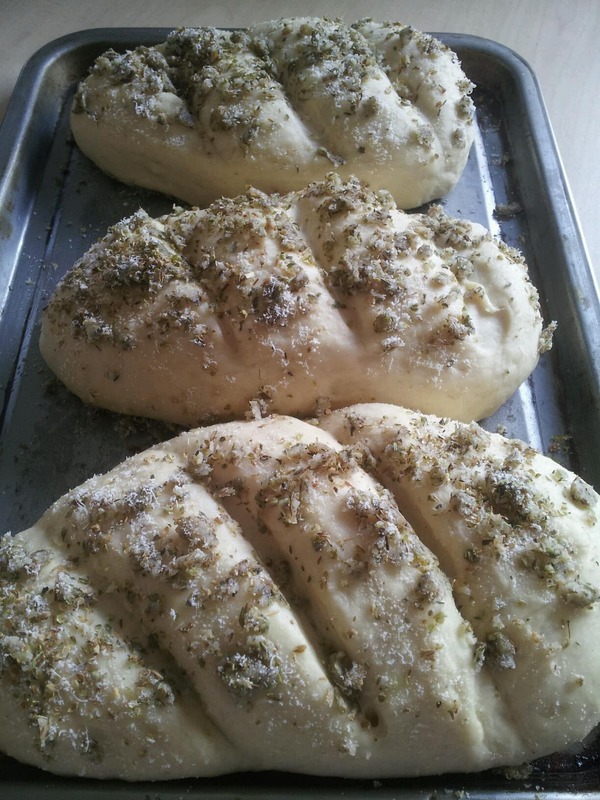 Work each piece of dough into equal sized pieces and work each piece into a sub roll shape. Mix the cheese, oregano, garlic salt and pepper with the oil. Rub this mixture over the rolls, slash them with a sharp knife and leave to prove for 30 minutes. Bake for 15 minutes, then turn down oven temperature to 200C and bake for a further 15-20 minutes or until golden brown. Place the rolls on a wire rack and cover with a tea towel to keep them nice and soft. I can’t wait to give this a try. My husband loves this bread. What a treat to have it at home. I could eat a whole loaf of that! I was looking for buns to make with Nigella’s egg and bacon salad (fakey bacon, in this case) tomorrow. Found them! They look amazing, I have to try these, thanks!